Yemi Osinbajo yesterday said he became the Vice President of Nigeria without asking for the position. 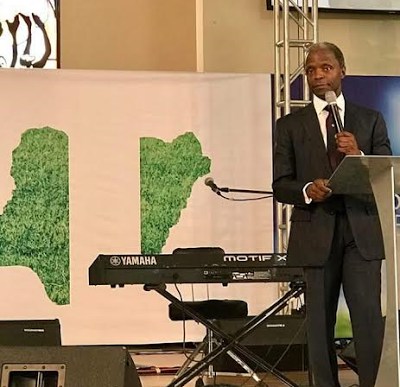 Osinbajo said this while speaking at the Olive Tree Parish of the Redeemed Christian Church of God (RCCG), Lagos yesterday October 2nd. According to him, his emergence without any personal effort showed that God is involved in the business of changing Nigeria. “This country has gone forward and it is going to keep moving forward. The reason why I, Yemi Osinbajo, without asking for a position, was given the vice-presidency of this nation is because God’s hand is in this business.